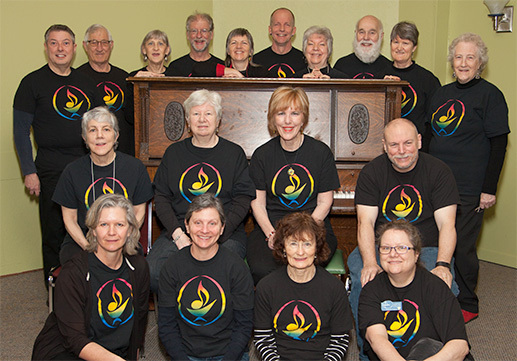 The Fabulous Fufonics is the First Unitarian Fellowship of Nanaimo’s beloved choir. We enjoy a wide variety of music — from sacred chants, to pop and folk arrangements, to show tunes and jazz! Although we take what we bring to our Sunday worship seriously, we also have a heck of a lot of fun! All are welcome, and no previous experience is required. We rehearse every Sunday from 9:30am to 10:30am, and sing in services throughout the year. For more informations please contact Leah. 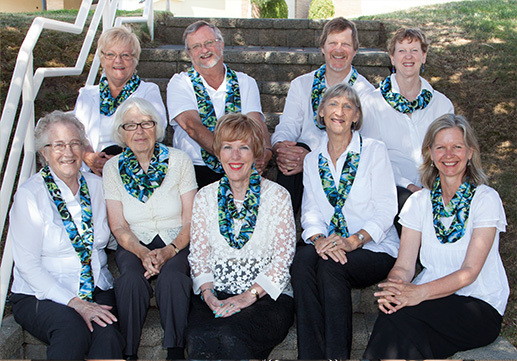 The Life Journey Singers provide comfort in song for those at various thresholds in their life journey. Although our primary focus is singing at bedside for the very ill and dying, we are also available to sing for births, for people in recovery, and for anyone who would benefit from a comforting presence in times of transition, illness, or trauma. We also sing for memorial services, vigils, and other occasions where appropriate. We feel that our gifts of presence, intent of support, and compassion expressed through song, is a helpful, soothing, and uplifting form of connection. We offer all of our services as volunteers, and we will accept donations. If you would like more information about Life Journey Singers, or to schedule a visit, please contact Leah. Based on Gabriola Island, the Song Keeper’s Women’s Choir is a group of beautiful, irreverent, caring, and fun-loving women who love to sing! We meet Monday’s from 4:30pm-6(ish)pm at the Gabriola Arts and Heritage Hall. No auditions required and the fee is by donation. All women are welcome (even if you think you can’t sing! ).